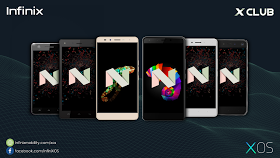 It's no longer a new that Infinix has rolled out Android Nougat 7.0 update for some infinix Smartphones , other infinix phones can gets there own update via OTA (over the air) , while others are updated through manual installation via Sd card option or Sp flash tool option . List of Infinix phones that their updates has been rolled out are , Note3 and Note3 Pro N, Infinix Zero 4 N, Infinix HOT 4 3G N, and Infinix S2 N. Below are the links to download their update . To install updates via SD card use the TFcard download link , but if you're installing update via Spflash tool or Infinix flash tool use the flashtool download link . Simply Way To Install Update Via SD card . 1. Get a fresh and clean SD card and download the ROM in it . 2. Click on the Menu of your phone and locate System Update. 3. Click and locate the version update you downloaded on the SD card and install. 4. You device will then reboot and starts updating to Android Nougat. For Those that want to the update via tool , Follow Here . Drop your comments below if it helped .